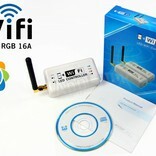 Incredible Wi-Fi RGB LED strip controller! 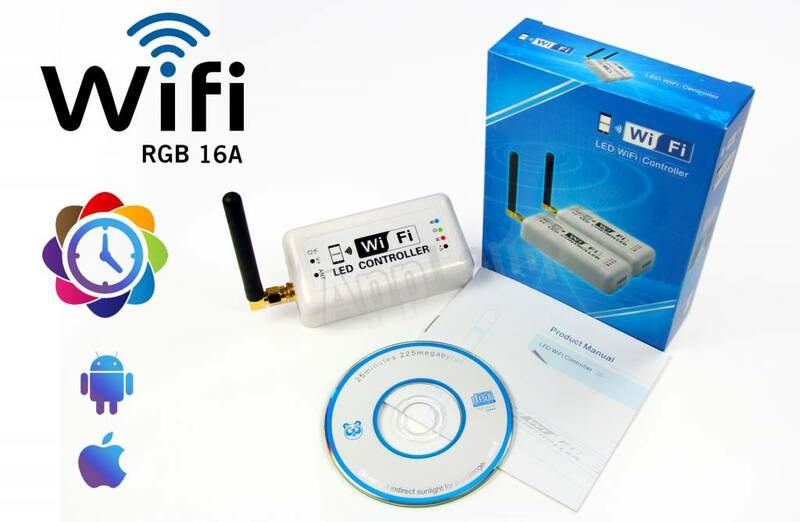 This LED Magical Wi-Fi controller already has Wi-Fi on board, just plug in a power supply and an RGB LED strip and enjoy the many features available in the free APP directly: as 16 millions colors, color mixing, dimming, clock timed color schemes, design your own color programs, load up an MP3 music track for light effects, etc. 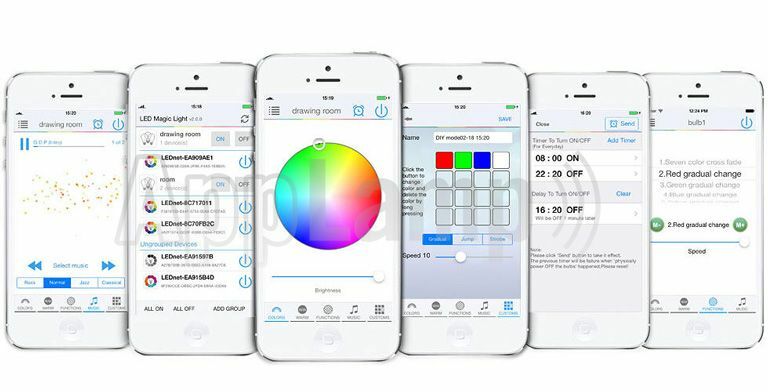 With the different clock timers you can create your own customised wake-up light! 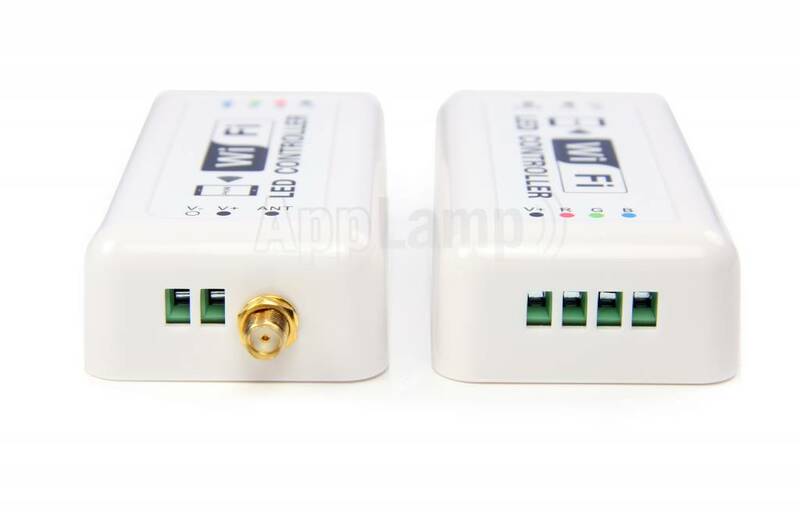 Multiple Wi-Fi LED controllers can be used next to each other and controlled using the same APP. Easy to connect and add it to your home network. 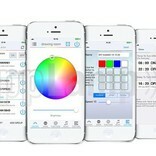 Control worldwide via internet with the new APP "MagicHome Wifi"
- Compatible with all our adapters and RGB LED strips. 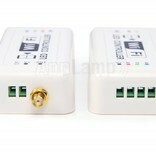 - Not compatible with other AppLamp wireless remotes, lights or controllers. - Free APP download, link enclosed in packaging.